Do you want to brighten your smile? Are you looking for a way to remove or reverse teeth stains? You’re not alone. As we age, our lifestyles wear on our teeth, leaving behind all different kinds of aesthetic blemishes like stains or discoloration. You may head to your local pharmacy and give over-the-counter (OTC) whitening products a try. Even though these products may show signs of improvement, they pale in comparison to professional teeth whitening services from your local Malta dentist. However, before you search “dentist near me” on your phone, continue reading to discover the benefits of whitening your teeth with us. When you use OTC teeth whitening products, you’re essentially using the one-size-fits-all method to address your staining, discoloration, or general smile dimness. What does this mean? Your OTC whitening treatment may work just fine, but you do run the risk of uneven coloring, lesser than needed strength, or ineffective whitening results. However, if you schedule an appointment with your Malta Dentist, you can receive a custom, tailored whitening service to address your specific smile needs. 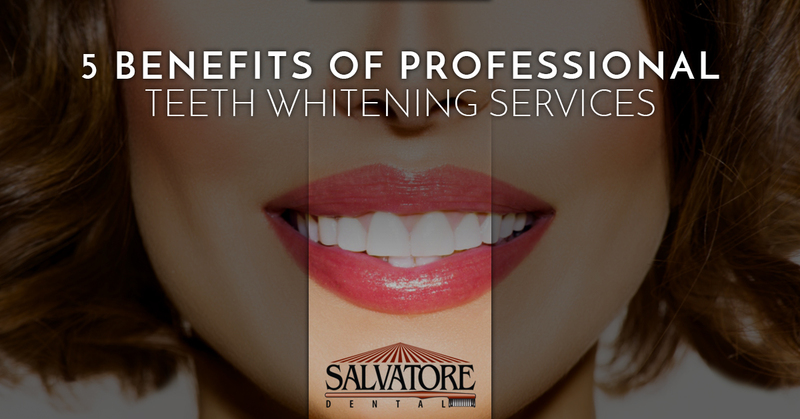 Not only will you gain a brighter, whiter smile, but you will enjoy a complete, even whitening of your teeth. The strength of the product and the state of your smile are both a factor when it comes to brightening your smile and reversing stains. For some, the OTC method works great. Others, it barely touches the undesired aesthetic appearance of the teeth. When you receive a professional teeth whitening, you will find the strength of the whitening gel to be much stronger than its OTC counterpart. When you schedule a teeth whitening appointment with your Malta dentist, you will receive the best teeth whitening product on the market while also receiving custom tailored treatment to your smile. You may find the OTC products work for your smile, but you will most likely need to use them every few weeks to keep your smile shining brightly. This is normal, and many people experience this. When you compare the cost of OTC teeth whitening products compared to a single teeth whitening visit with your Malta dentist, patients tend to pay more at the pharmacy due to the frequency of application. If you want a whitening that lasts, schedule an appointment with your Malta dentist. Your smile will brighten and you will be taken care of in the hands of gentle, caring dentists. It’s been mentioned a few times already, but it’s worth making a point in and of itself. Your smile is yours. It’s the one you’ve lived with, for the most part, all of your life. Why would you try and whiten your teeth with a one-size-fits-all product when you could receive a tailored, custom smile treatment option? We understand. The cost of the dental visit may be more than a few OTC whitening treatments, but the effects last longer when you choose professional teeth whitening. You may be concerned with safety. You’re not sure how you’ll react to the chemicals in the OTC products. You’re not alone. Many of our patients are concerned with their safety when it comes to whitening their teeth. If you’re concerned about OTC products, give our office a call. We can help answer your questions or schedule a consultation to determine which professional teeth whitening service would fit your smile the best. Your smile isn’t just a set of teeth; it’s the best first impression, it’s how people remember you, it’s the promotion at work. Choose your professional dentist in Malta to enhance your smile. Finally, you’ll simply feel better about having a brighter smile. When it comes to social events, job interviews, or meeting strangers, you will want to smile more often. It’s been shown the more someone smiles, the better they feel. It’s also been shown that the better a person’s smile the more successful they become in their life. If you’ve tried OTC products or you simply want to see if professional whitening is right for you, give our dental care office a call. We’re always looking to help our Malta and surrounding community residents enhance their smiles and increase the longevity of their oral health. Give us a call today to schedule an appointment!